Running from the Sun came out a little over a year ago and since then I've dropped two videos, been interviewed, reviewed, rejected, accepted, triumphed and failed more times than I'd like to count. It's the way I roll and I wouldn't have it any other way. 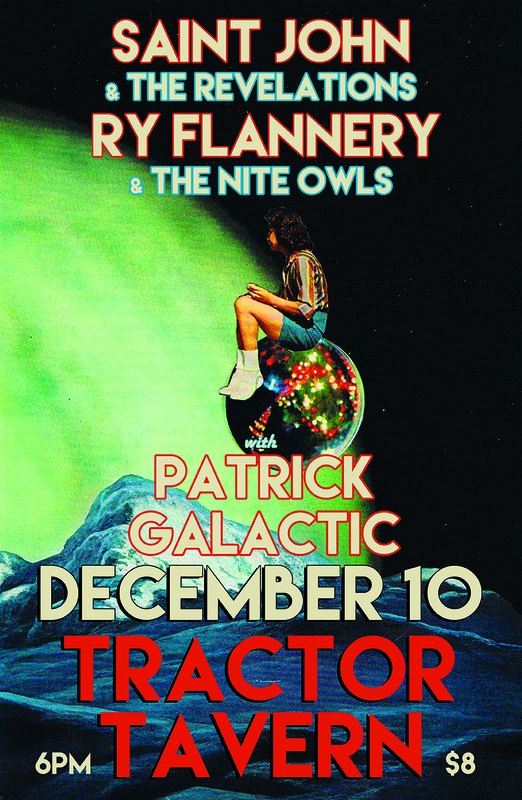 This Sunday, December 10th, I'm wrapping up the Running from the Sun era with one of my biggest performances ever at Tractor Tavern in Ballard. It's an early show, we take the stage at 7pm. It's a full band performance, we will be joined by our ace in the hole and my frequent collaborator, John Theroux, who will be projecting live visuals on stage. We are opening the evening for Ry Flannery and The Nite Owls and Saint John and The Revelations, both excellent artists that I highly recommend you check out. After this show, the focus turns to the next phase. In 2018 I have new singles, new videos and a new EP that I think you'll really like. Don't miss this show and don't you DARE think you've seen all the tricks I have up my sleeve! I'll be seeing you Sunday!